Seller hereby reserves all forms of minerals, including oil and gas, in, on or as a part of the soil or geological formations on or underlying the Property, however without the right to utilize the surface to explore for minerals but with the right to explore for minerals by offsite directional drilling or other means not involving the surface of the Property. The plaintiffs subsequently mined clay from the property and the defendants asserted their servitude right to 10% of the clay mined. Plaintiffs filed suit seeking a declaratory judgment that the mineral servitude did not extend to clay mined by plaintiffs from the property. The trial court granted summary judgment in favor of the plaintiffs, on the basis that defendants could not benefit from the plaintiffs’ mining operations without adopting those operations, which defendants did not, and could not, do. The trial court also ruled that a mineral servitude grants the servitude owner only the right to explore for minerals for herself and not the right to share in minerals excavated by the property owners (the plaintiffs in this case). 1. Did the surface use restriction in the mineral servitude limit the scope of the servitude (i.e. the minerals covered by the servitude)? 2. Are articles 42 through 46 of the Louisiana Mineral Code relevant to issues other than “use” of a servitude for the prescription of nonuse? 3. Does a mineral servitude include the right to share in minerals produced by the landowner or only the right of the servitude owner to explore for and produce minerals for her own benefit? After the submission of written briefs and oral arguments, the Appellate Court issued a written decision in favor of the defendants. The Court started its analysis by recognizing that the Louisiana Mineral Code applied to the materials mined by plaintiffs from the property, whether called “clay” or “soil”. Applying the Louisiana Civil Code articles on contract interpretation, the Court held the surface use restriction did not limit the type of minerals covered by the servitude (to minerals accessible by off-site means) but only prohibited exploration activities that would disturb the surface of the property. The Court noted that Mineral Code articles 42 through 46, regarding the servitude owner’s adoption of another’s operations, appear in that section of the Mineral Code dealing with the prescription of nonuse and were not relevant to the issue of sharing in production. Lastly, the Court recognized that a mineral servitude owner may grant a mineral royalty, which is the right to share in the production of another; necessarily, prior to creation of a royalty, the servitude owner possesses the right to share in the production of another. Thus, the Court held that the defendants, as servitude owners, were not limited to recovering minerals they had actively explored for and produced for themselves. The decision of the district court was reversed, and the case remanded. 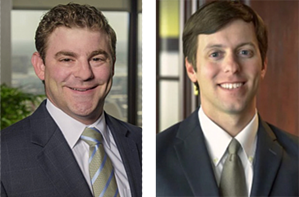 Plaintiffs have filed an application for a writ of certiorari to the Louisiana Supreme Court. If you have a question about mineral servitudes, please contact Mr. Fantaci or Mr. Bagwell at 504-585-3800.